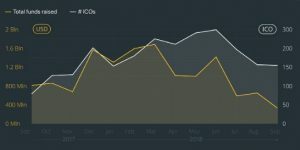 How Much Does It Costs – Successful ICO/STO? 1 Comment on How Much Does It Costs – Successful ICO/STO? Now, even on a project with a cap of $ 3 M, it is estimated that $ 1M will have to be spent, ratio is 1: 3. Below it is a picture of ICOs and funds raised in 2017-2018 as for ICObazaar data. 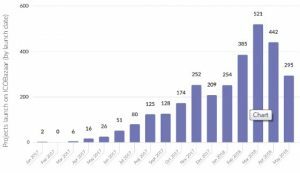 As well as dynamics of projects in 2017 – first half of 2018. Taking into account that tokensale holds over a period of time, the notion of “minimum promotion budget” is important – this is the amount that is needed to start the promotion of ICO. Thanks to the established traditions and metrics proposed by crypto-guru Ian Balina, it is no longer necessary to hide that part of the funds received during the ICO will be used to promote it. 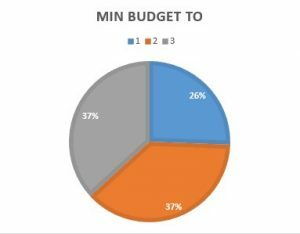 Therefore, the minimum budget is of paramount importance. Which in turn is determined by the strategy and tactics of promotion – that is, the chosen toolkit. Although, as in standard marketing, you can build on the budget available – but then you can’t talk about success. It will only be an attempt or an application – they say they did what they could. Relevant items and amounts are indicated in Table 1, with minimum and maximum values. Charts 1, 2 for Min and Max. Given that theprocess is ruled by large institutional investors, WP should be of high quality and expensive. Cost also increases depending on technological complexity. MVP can also be decisive for big investors – so it’s not a subject of saving. 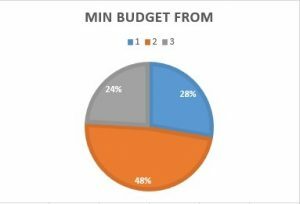 The trend in the market is the emergence of a huge number of promotion agencies, so they are trying to wind up as much as possible in these positions in the budget. They put PR into a separate group, which contradicts even theory. The tasks of marketing and PR, of course, are different, but on tokensale they are very close. Therefore, a general budget is justified. International relations, participation in conferences is today a necessary item of expenditure. First of all, because the situation is changing too quickly. Analysts do not have time to reflect it outside, so there is nothing better than your own impressions and knowledge first-hand. Registration takes into account the peculiarities of the local jurisdiction – it costs money. And it’s worth it, especially due to regulatory uncertainty. Legal support increases if we talk about STO. Putting the items by purpose gives some clarity and outlines opportunities for savings. But here the first marketing rule can declare itself: Target audience decides everything. If your audience is the community – this is one thing. And it’s completely different if you rely on institutional investors. What changes in promotion strategies can this cause? Large. Institutionalists are tough and not emotional, professional people. They evaluate WP, MVP, team, advisors and legal support. Accordingly, the value of these items increases. Obviously, such a budget is not affordable for all the projects. Any advice? Choose an agency that combines several functions. For example, such as Coinstelegram Media . This is not only an agency, but also Coinstelegram.com, a large thematic media. 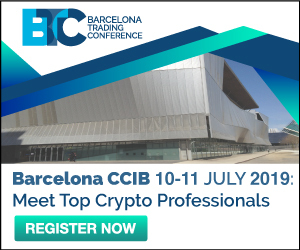 As well as Investor Club backed by Coinstelegram Fund, which has partnerships with other funds, including in Singapore and other regions with a developed crypto industry. It is also important the presence of advanced and vivid channels in all popular networks. Due to the symbiosis of these structures, Coinstelegram Media can offer very attractive price for marketing and promotion of ICO and STO, many times lower than the market price.